White hankerchief with yellow and red border. Two soldiers (wearing yellow and blue) shaking hands in the middle of the scarf. 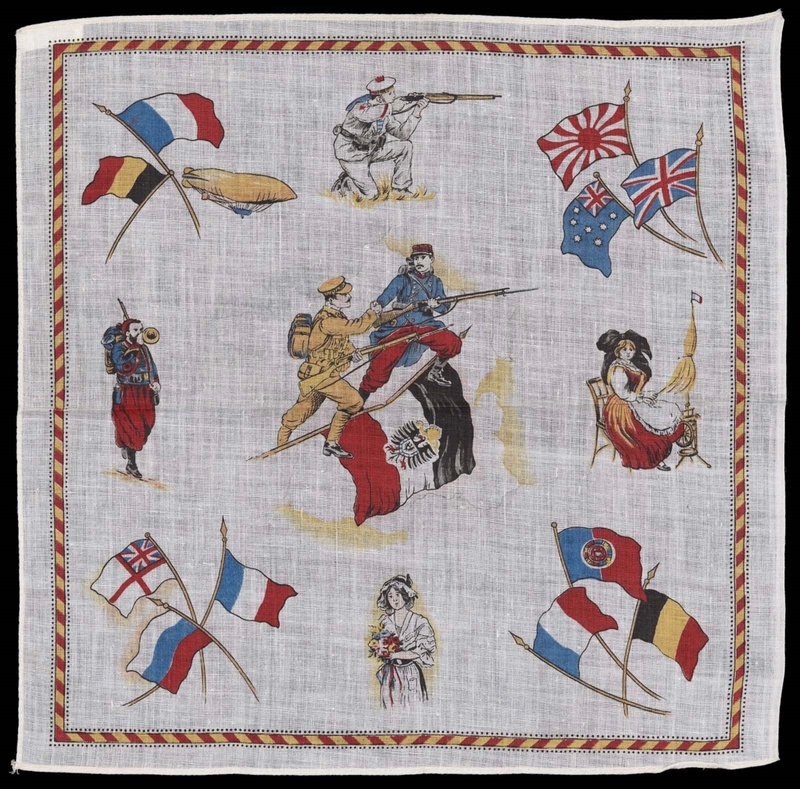 Each corner has two to three flags and there are illustrated figures between the flags along each side (soldiers, woman at a loom, woman holding flowers).